IRS Targets Americans Living In Israel! | TaxConnections is a where to find leading tax experts and tax resources worldwide. As the IRS cracks down on offshore accounts and on suspected fraud from overseas, Israel faces extra scrutiny. Part of it has to do with the federal government’s new campaign to uproot the practice of secret overseas bank accounts, some of which are in Israel. But part of the heightened scrutiny is a result of specific fraudulent activity carried out by Americans living in Israel that has effectively made the entire community a target of suspicion. The $1,000 child tax credit for each child, enabled families who do not owe taxes to receive the cash value of the tax credit under certain conditions. Overseas U.S. citizens who pay taxes in their country of residence can qualify for the cash credit if they can demonstrate the taxes that they are paying overseas meets the threshold the IRS requires for tax filers living in America. The prospect of receiving a handsome yearly check from Uncle Sam prompted many of the estimated 250,000 United States citizens living in Israel to add a tax credit request for their children to their annual tax return. But alongside these legitimate claims, several self-proclaimed tax preparers in Israel offered American citizens who did not qualify for the credit a chance to claim it. Through ads in community newspapers — many of them Orthodox — and via word of mouth, they promised families that they could qualify even if they did not make enough earned income to qualify for the benefit. For these families, some with eight or 10 children under the age of 17 and with very little income from work, the preparers helped submit fraudulent returns, stating false income from work in Israel. In other cases, they requested credit for children who were not recognized as United States citizens. As the claims mounted, suspicion grew at the IRS, which eventually set up an “Israel project” for dealing with suspected tax returns from Israel, said Charles Ruchelman, a former government tax lawyer who now represents clients in tax controversies and litigation. “When they identify a trend, they start a project, and that’s what happened here,” he said. Eventually, almost all tax returns from Americans living in Israel that included a request for child tax credit were put under extra scrutiny and many have been audited. “I never thought it would happen to me. Last week I received a letter from the IRS stating that I owed tens of thousands of dollars in taxes and penalties,” wrote a Haredi blogger after receiving the IRS envelope containing the audit announcement. One Jerusalem resident told the Forward that her family spent months gathering the documents needed for the audit, which eventually found no wrongdoing in the family’s tax returns. “They wanted to see every pay stub and every document,” said the mother of four, who asked not to be identified due to concern that it would negatively impact her tax case. Besides such income data, the IRS has demanded that families in Israel supply birth certificates, passports and detailed listings of their travel in and out of Israel to determine their eligibility for the child tax credit. In addition, the IRS requires Israelis to have all documents translated by a professional translator, a demand that is not imposed on other countries and results in hefty translation bills for those being audited. “These are abusive audits,” argued Adlerstein. While audits have been ramped up, no criminal charges have been filed against any of the fraudulent tax preparers working in Israel. .
“The IRS has decided not to believe anything coming out of Israel and now it has in place this massive audit program that is creating great hardship for families, especially young families with children,” said Stein. The IRS did not respond to questions from the Forward regarding its audit policy of tax filers living in Israel. While these audits impact only Americans living in Israel, any other American citizen holding a bank account in Israel could also face much more scrutiny than in the past for an entirely different reason: the IRS’s new focus on offshore accounts. This focus has led to an increase in the enforcement of the requirement that Americans and American residents file a Foreign Bank Account Report on every account held abroad that is worth more than $10,000. “They have become more aggressive, they are less forgiving, but they are not targeting [specifically] Israel,” said Ruchelman. Initially, the IRS went after Swiss banks, which for years were synonymous with secrecy. Eventually, the U.S. Department of Justice succeeded in getting most foreign financial institutions to report on accounts belonging to United States citizens. Lack of compliance, banks were warned, would limit their ability to do business in America. Israeli banks, under the same threat, also increased their efforts to identify clients who are United States citizens and report them to the IRS. A series of prosecutions against American citizens trying to avoid reporting their accounts in Israel and against tax preparers who advised their clients to use Israel as a tax shelter helped drive home the point. The penalties for not reporting overseas accounts are hefty. But this has had the unintended effect of deterring, rather than encouraging, many from filling in the FBAR forms, for fear they will be taxed and penalized retroactively. The IRS now allows account holders to join a partial amnesty plan that will allow them to report their accounts and face only minimal penalties. 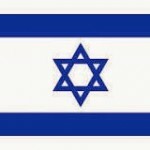 A recent report issued by the Government Accountability Office found that 4% of the accounts reported worldwide through this program were in Israel, making it the fifth most likely destination for overseas bank accounts. Increased FBAR enforcement has impacted a wide circle of Americans, mainly Jewish, with ties to Israel. It includes not only those who have immigrated to Israel, or made aliyah, as adults, but also children of American citizens who are citizens themselves but may have never even visited the United States. The law is also relevant to any American who has opened an account in Israel in the past for use during visits to Israel or to help manage rental income in Israel. Lawyers and accountants working with dual American–Israeli citizens report an increase in the number of clients seeking to close their accounts in Israel in order to avoid dealing with the FBAR law. Some have also met Israelis who are considering giving up their American citizenship for the same reasons. An easy and logical solution to situations like this is the switch to residency-based-taxation. If individuals subject to Israel jurisdiction are treated as being subject to Israel jurisdiction, as they should be, then other jurisdictions won’t have such extraterritorial jurisdiction problems.